The Syrian crisis is grave. 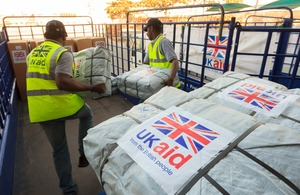 David Cameron has set out the largest single funding commitment ever made by the UK in response to a humanitarian disaster, announcing a £175 million emergency package.The new funding, which the Prime Minister announced at the G8 summit, is part of a total of almost $1.5 billion in additional contributions agreed by G8 leaders to meet humanitarian needs in Syria and its neighbours. It will help to provide immediate humanitarian assistance to hundreds of thousands of Syrians in desperate need as a result of the ongoing fighting. However more money is still needed. You can help by donating to the Disasters Emergency Committee Syria Crisis Appeal here. “We welcome the Disasters Emergency Committee (DEC) appeal to do more for people in desperate need. This conflict continues to cause appalling suffering. Over four million people in Syria are in urgent need of assistance and a million refugees need humanitarian support.